HP Inc. is hoping to enable greater productivity and more efficient teamwork with its latest product announcements at its annual global partner event, HP Reinvent, held this year in Chicago on September 12. HP EliteBook x360 1020 G2 – a thin and lightweight convertible notebook with a 12.5 inch (diagonal) HD touchscreen and an ultra-bright 700-nit display that can handle a variety of lighting, whether indoors or outside. The 13.9 mm thin device features five different versatile modes – tent, laptop, tablet, media, and conference view – as well as Windows 10 operating system, HP PhoneWise so users can respond to texts through their PC, and two USB-C ports and one HDMI port. Optional features include HP SureView, an integrated privacy screen to prevent side-angle viewing from onlookers, Intel Core i7 processors, and PCIe Gen3 solid state drives. Weighing just two and a half pounds, the EliteBook x360 is designed to be durable and pass MIL-STD 810G testing. It is expected to be available globally this month starting at $1,379 (USD). HP EliteBook 1040 G4 – an ultra-slim 14-inch notebook featuring up to 18 hours of battery life, HP PhoneWise, Windows 10, and up to 16 GB of DDR4 memory. Optional features include Intel Core i7 processors and PCIe Gen3 solid state drives. Weighing approximately three pounds and 15.95 mm thin, it comes with the same durability assertion as the EliteBook x360. It will also be globally available this month starting at $1,379. HP EliteOne 1000 AiO – the “world’s first” AiO PC built for collaboration. 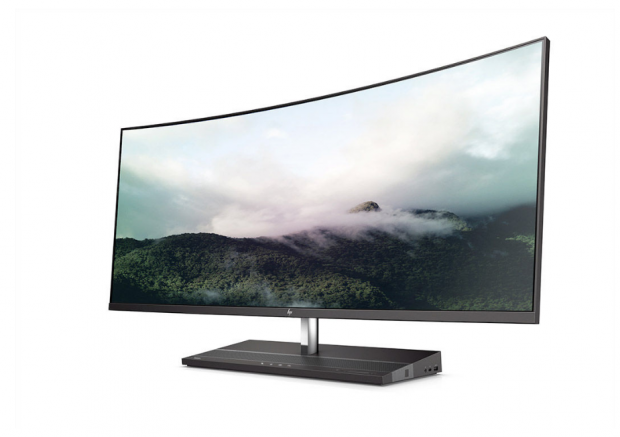 There are three display options: a 23.8-inch full HD, 27-inch 4k display, and a 34-inch diagonal curved display, so that customers can have a “customizable” and “immersive” experience for activities like video conferencing or watching a movie. 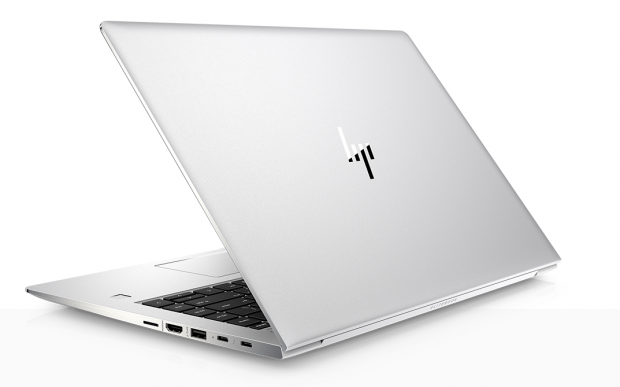 It comes with Windows 10, Intel Core i7 processor (and optional Intel Optane memory cache), audio by Bang & Olufsen, HP Audio Boost, and HP Noise Cancellation for loud work environments, as well as HP PhoneWise. The AiO also features a 2 MP dual-facing pop-up webcam for conferencing. It will be available this month starting at $1,259 (USD). HP says these versatile devices come as work is increasingly being done outside the office. Right now, approximately 54 per cent of work is done elsewhere, and in fact; home office hours are expected to rise by 150 per cent in two years. This is being driven largely by a growing millennial workforce, of which 88 per cent want work and home technology to integrate. Nick Parker, the corporate vice president for HP partner Microsoft, adds that he is excited to see this new innovation that builds on Microsoft technology. “With the new HP products announced today, businesses will be able to respond to the diverse needs of their globally distributed teams – helping them achieve more by better enabling collaboration anytime, anywhere,” he says. 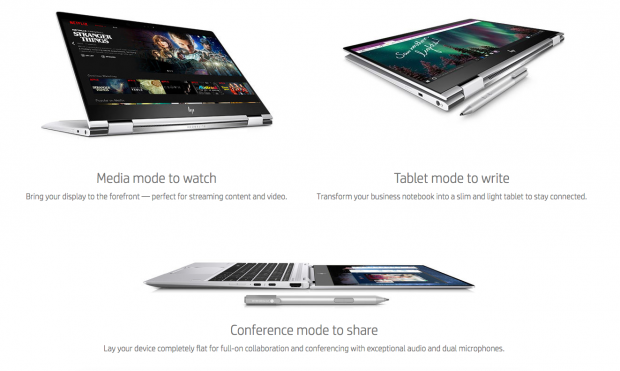 HP has also announced several new accessories for users wanting both the mobile and desktop experiences. It offers two options for additional charging and connectivity ports: its HP USB-C Mini Dock and HP USB-C Power Bank. It has also unveiled a new HP Wireless Collaboration Keyboard for Skype for Business, as well as new HP EliteDisplays that feature three-sided micro-edge bezel designs and offer essentially seamless multi-monitor image continuity. These are all either available now or will be at some point in September. HP has also enhanced its collaboration tools, such as Sprout Pro by HP G2 to make virtual meetings more immersive; HP ShareBoard to bring any whiteboard into the digital age; HP EliteDisplay E273m Conferencing Monitor for easier Skype for Business connections; and HP Elite Presenter Mouse that comes with the ability to use a real-time virtual pointer to highlight content in meeting spaces. These are all expected to be available by December.